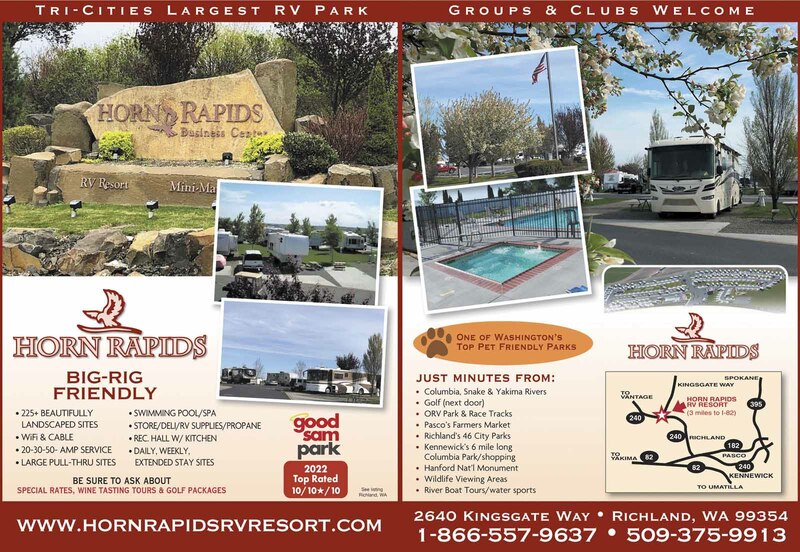 Welcome to the largest top-rated RV resort in the Tri-Cities! Experience all the best the Columbia Valley has to offer: award-winning wineries, golf courses, art galleries, world-class fishing, boating & restaurants. Very welcoming when we arrived. The park is very pretty with a great variety of fruit trees in bloom. The grounds, gardens and facilities are well maintained. 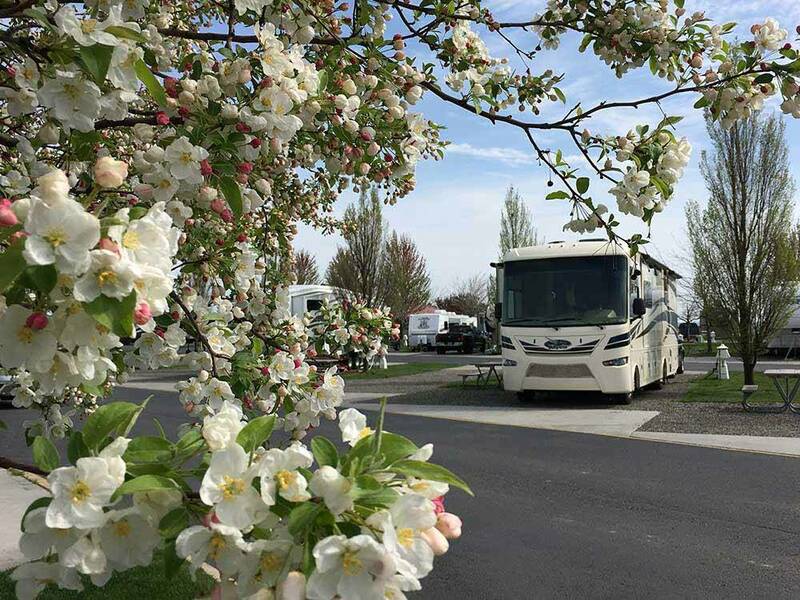 Pride in ownership at this rv resort. We are in a 38' motor home, towing a jeep and the large pull thru sites were easy to get in and out of. We will be back! Thanks for the hospitality. The good and the bad. First, the good: Clean, attractive, pleasant views, with trees, green grass; and rural but fairly close to shopping. Recommended for short stays. The Bad: mostly full time residents with a number starting their motors, making noise, and going off to work weekdays between 0400 and 0630. More residential than recreational; more mobile home park than RV park or resort. Recommended for long term and sound sleepers. 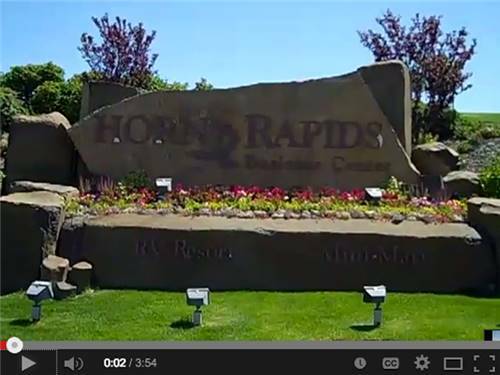 We thoroughly enjoyed Horn Rapids RV Resort. The club house was great. The sites were large with nice grassy areas. We appreciated the well-stocked store. The nearness to the Tri-Cities made our travel to various sites simple. The staff were very friendly and helpful. Others were enjoying their pool which was quite nice. The grassy game area was nice. It was a nice quiet park. We would definitely stay here again. Second stay at this resort. Each person there is genuinely concerned for the resort and the comfort of each guest. Great views and located close to groceries and golf. Smooth access to the site. Great place. From Jct of I-182 & Hwy 240W (exit 4): go 4 mi NE on Hwy 240W, then 2 mi NW on Hwy 240W to Kingsgate Wy, then 1/8 mi NE on Kingsgate Wy (R).